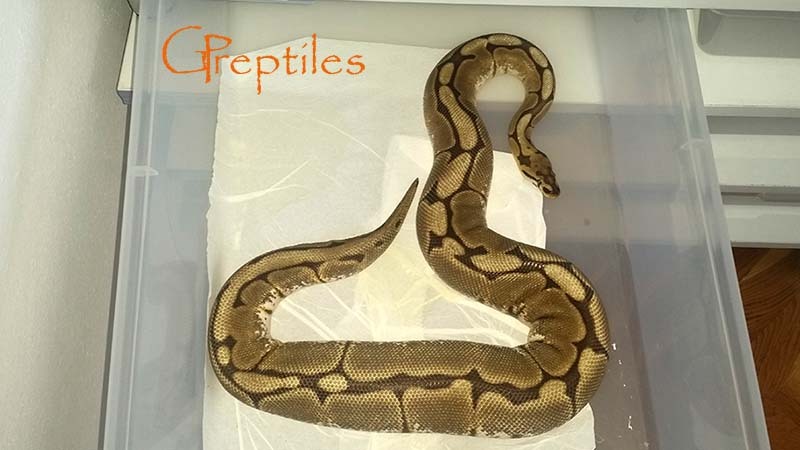 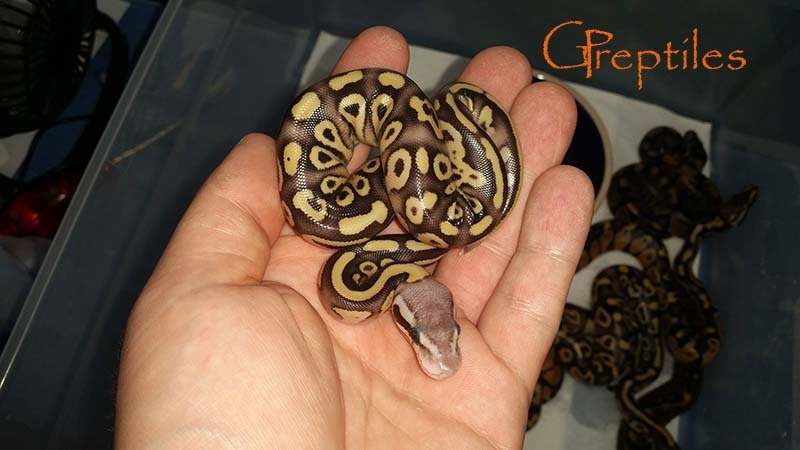 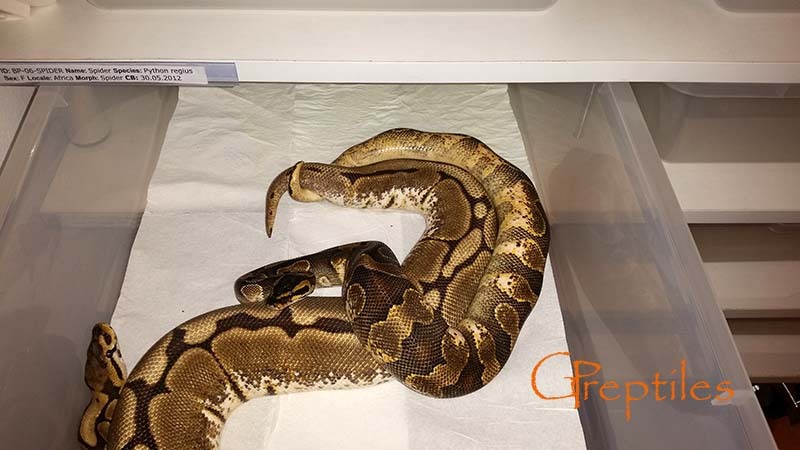 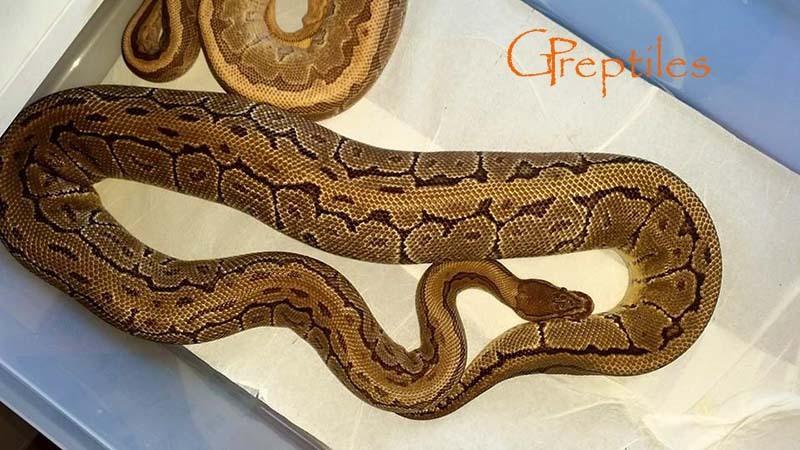 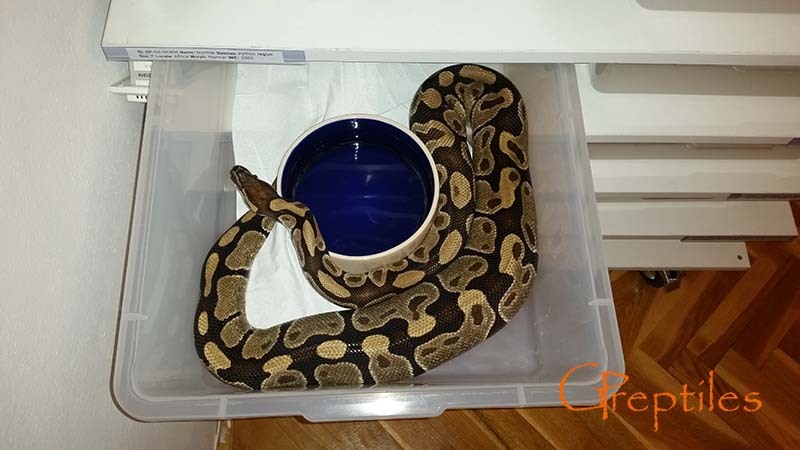 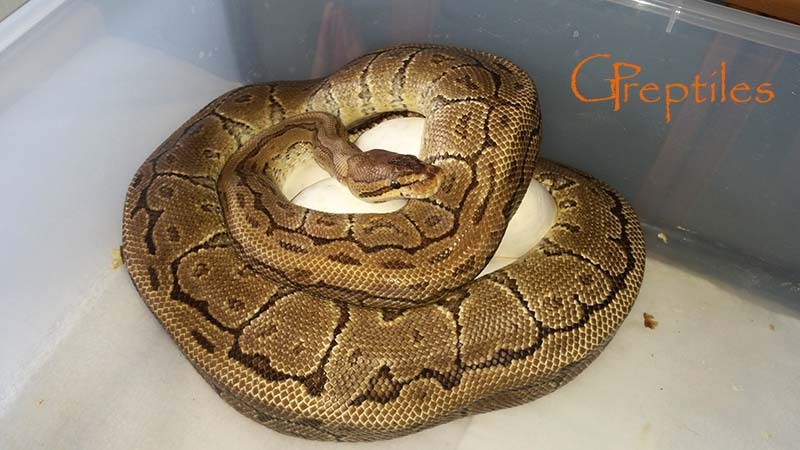 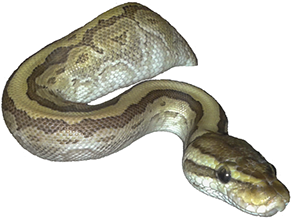 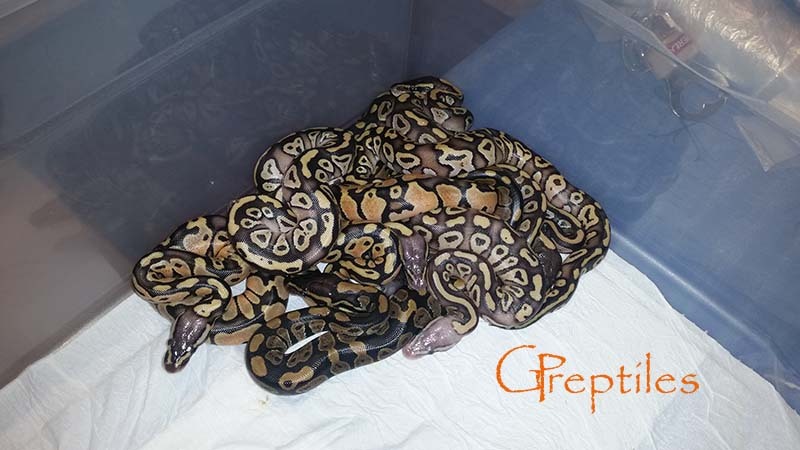 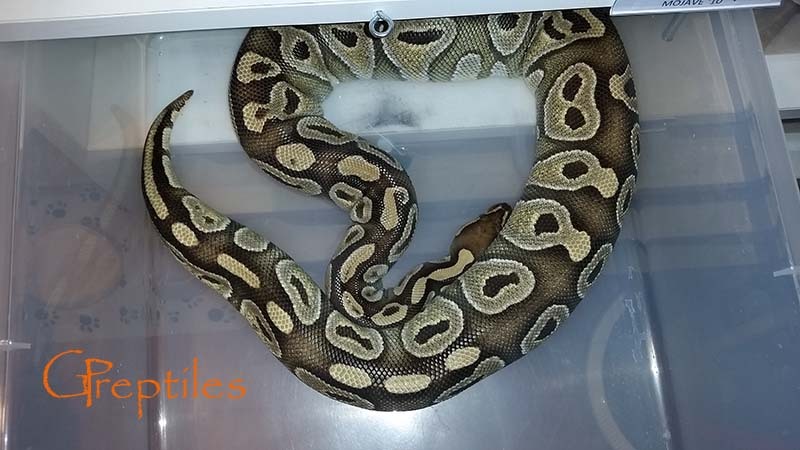 At the beginning of October we paired our females (3x Normal, Pinstripe, Clown, Mojave, Spider & Pewter) with Kingpin poss YB, Enchi Calico, Firefly & Pewter males. 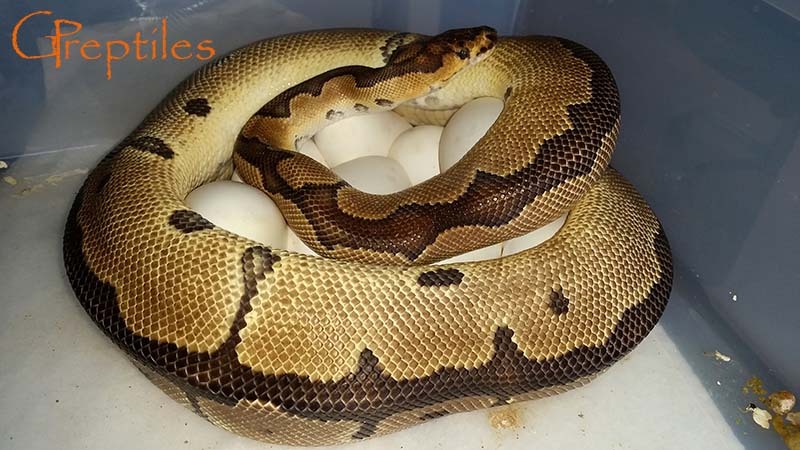 Hopefully all females will go and we will end up with 8 clutches! 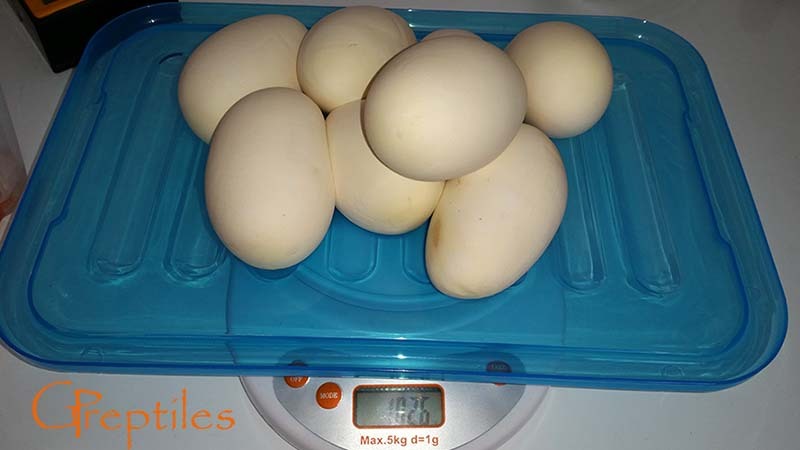 Beggining of february and we already had 2 ovulations! 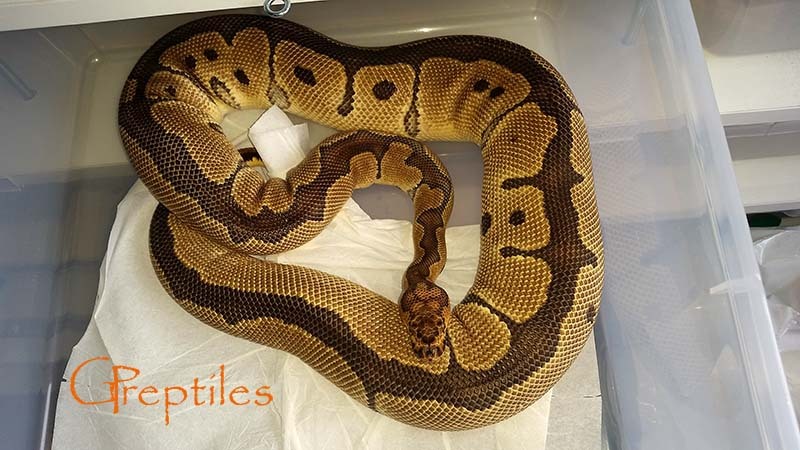 Our biggest Normal paired with Kingpin and Mojave paired with Firefly. 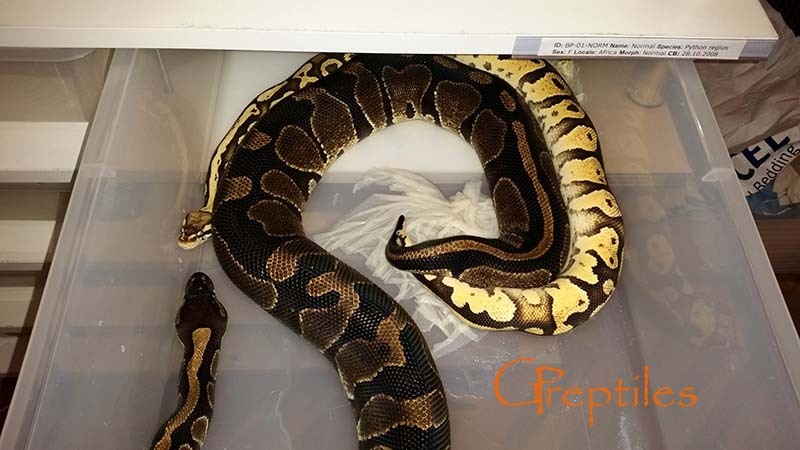 Later in the season we got few more ovy's - Spider, Clown & Pinstripe all ovulated before the end of March! 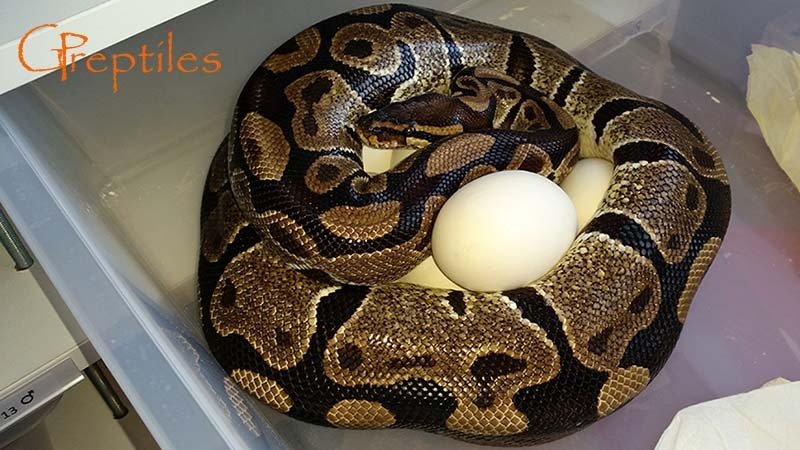 Now we are waiting for first eggs of the season! 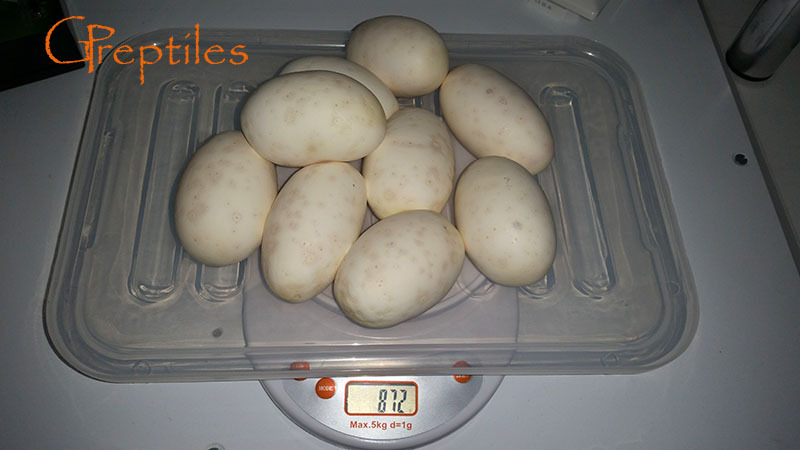 In mid March our biggest Normal laid 8 fertile eggs! 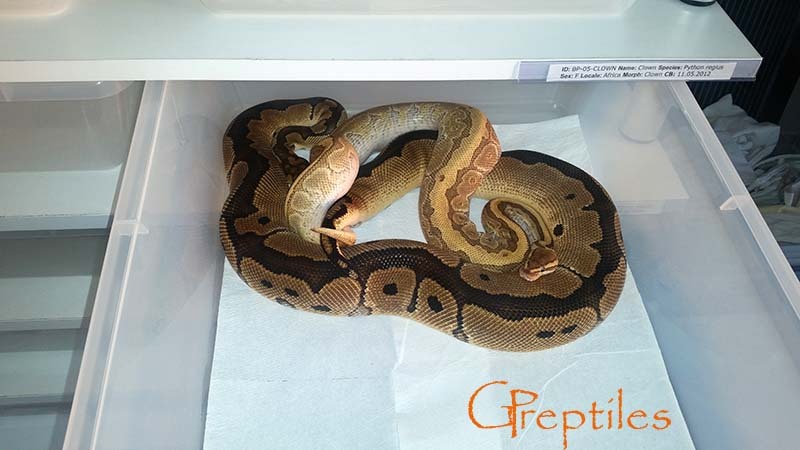 In the mean time we acquired a Butter female which happened to be gravid, and laid 4 eggs just 2 days after she got here! 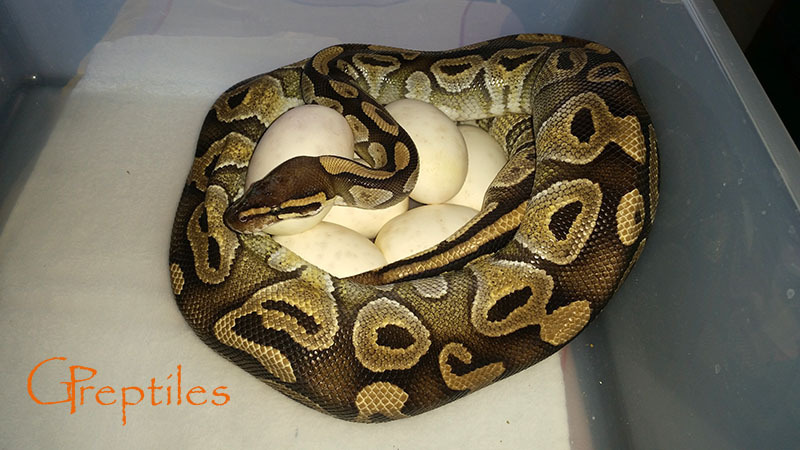 Soon after that our Mojo girl laid 9 fertile eggs! 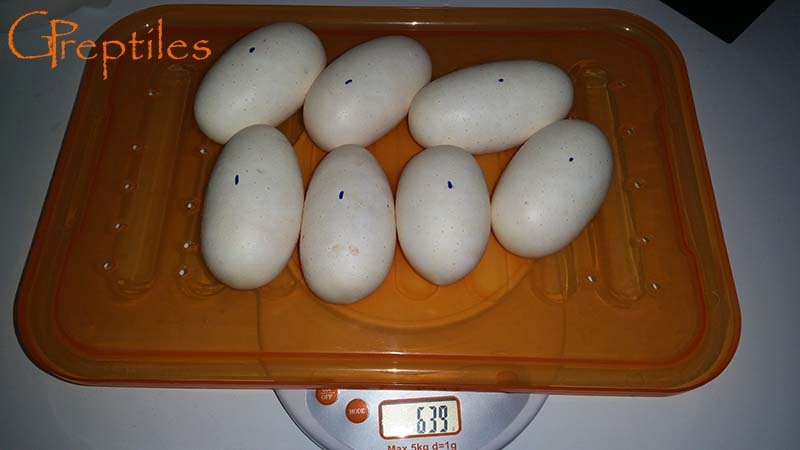 Spider was next with 7 good eggs! 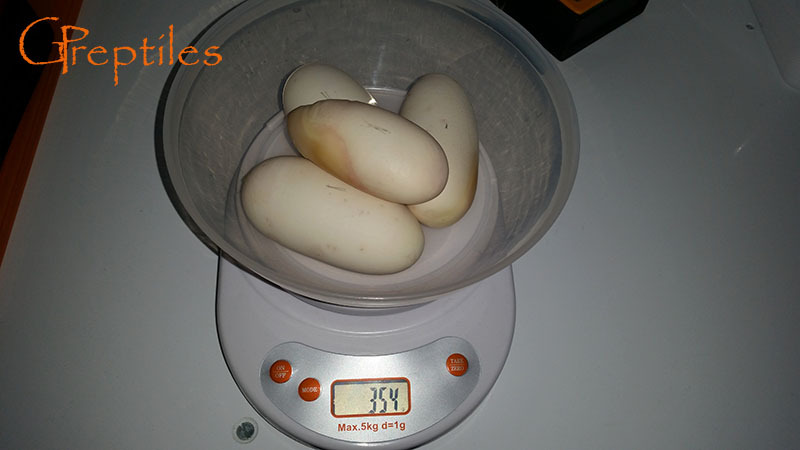 Both Clown & Pinstripe laid their eggs 31 and 32 days after their PLS. 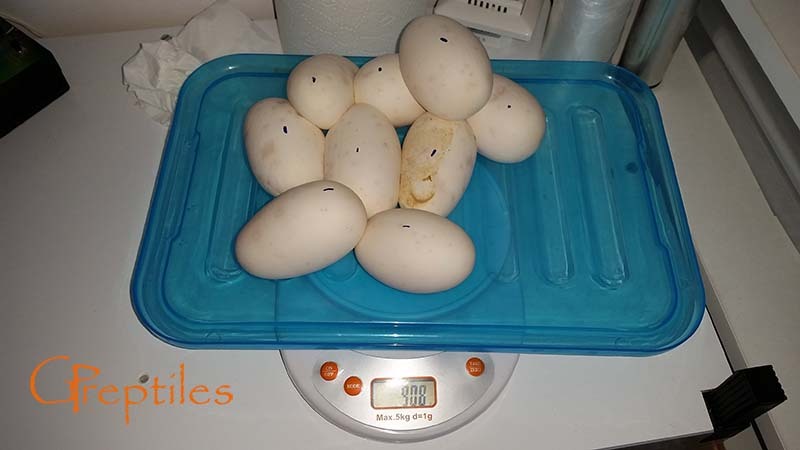 Each gave 9 healthy eggs! 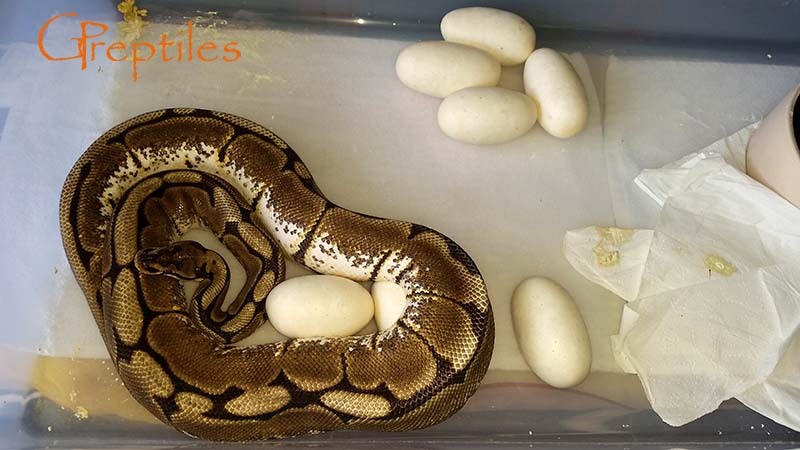 Now we are waiting for the first clutch to hatch! 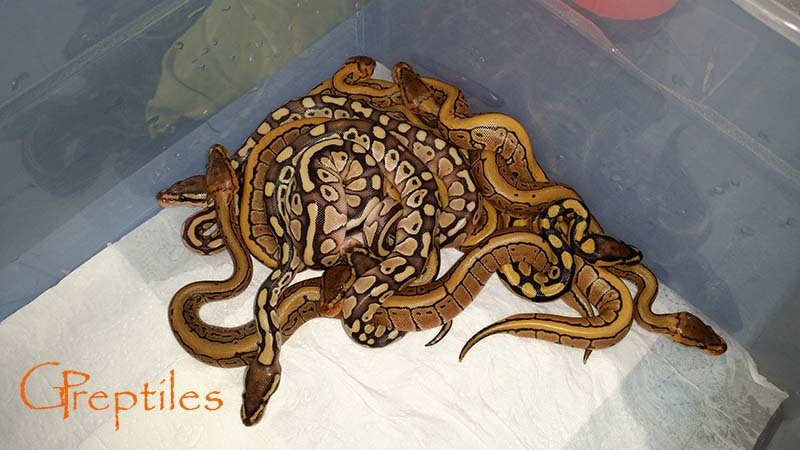 All clutches are all the incubator! 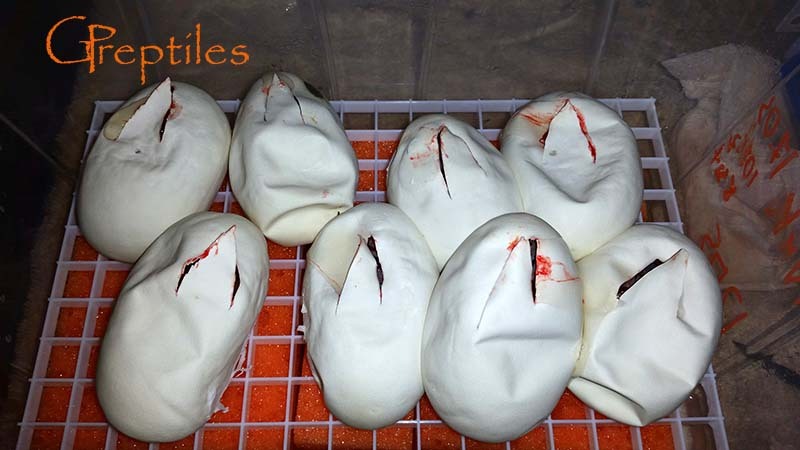 We already cut the first clutch and it's a doblue sired clutch! 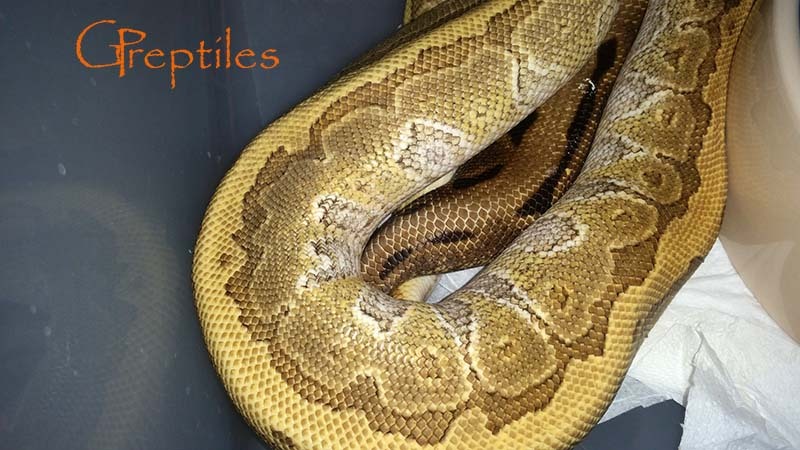 There are babies after the Kingpin and Firefly in the clutch! 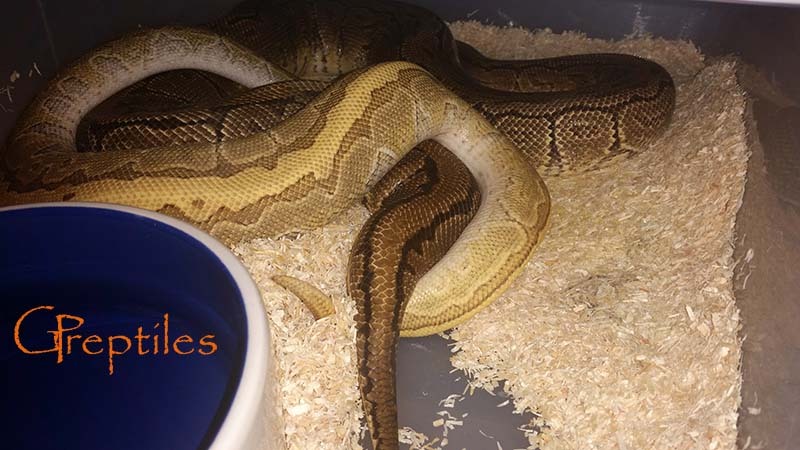 Now we are waiting for them to come out! 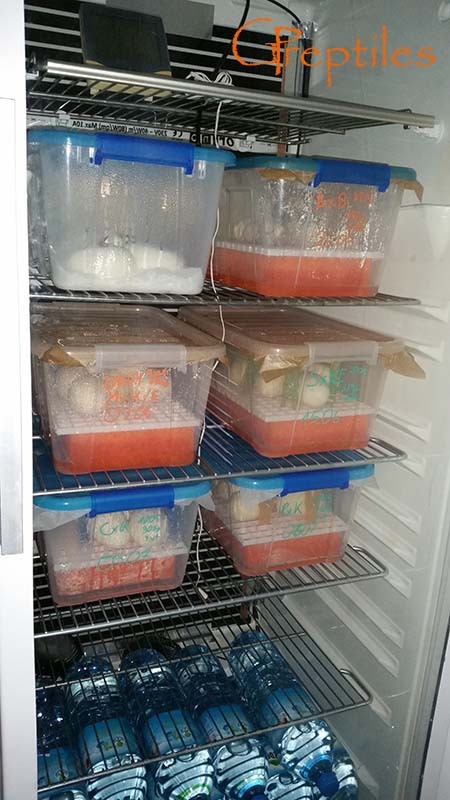 The rest is cooking in the incubator! 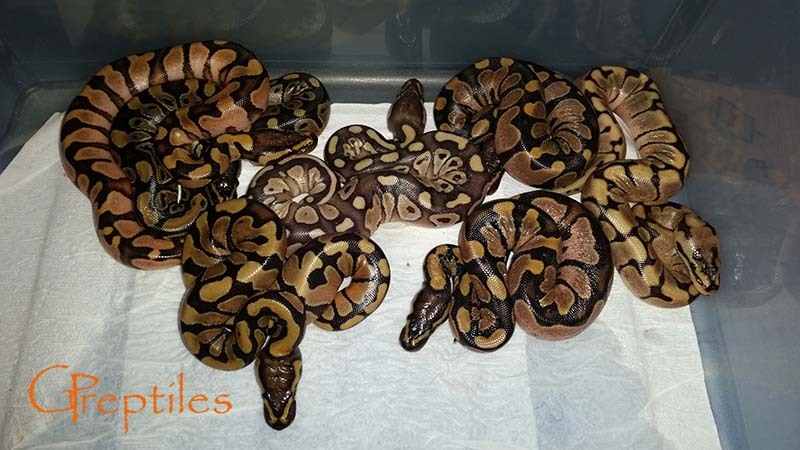 All the babies are out! 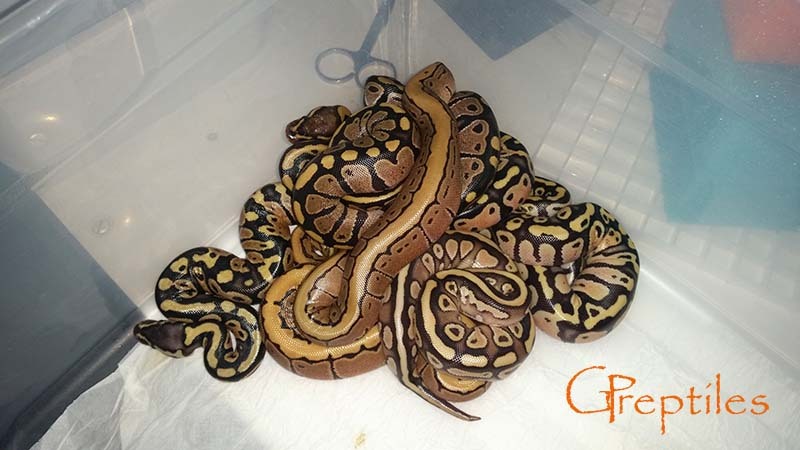 We got 1.0 Normal, 0.1 Dinker (YB), 0.2 Pastel, 1.0 Pinstripe 1.0 Pinstripe Dinker (YB), 1.0 Lesser Dinker (YB), 0.1 Firefly! 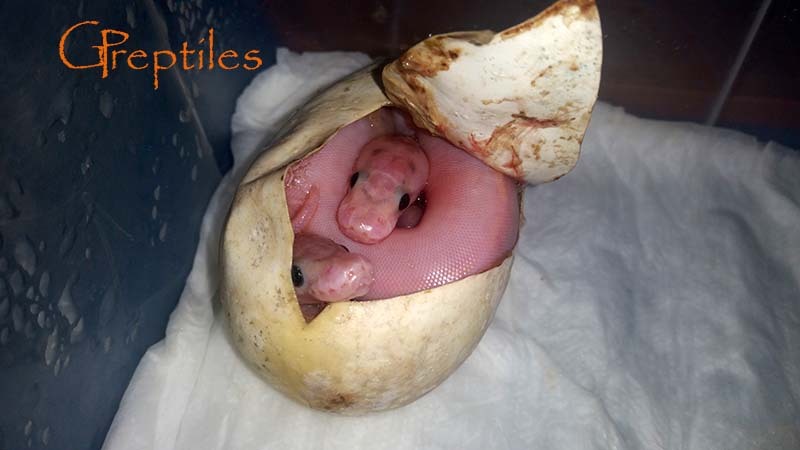 Second clutch is out and we onl got two babies: 1.0 BEL, 1.0 Normal! 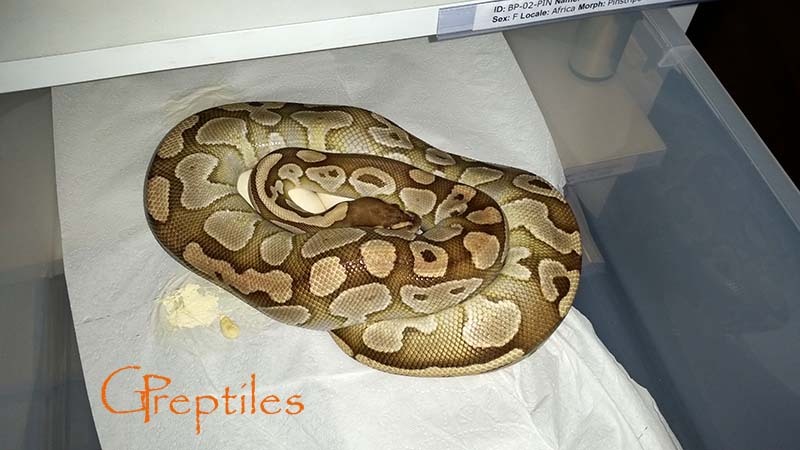 Soon after that our third clutch came out of the eggs - Mojave x Firefly pairing! 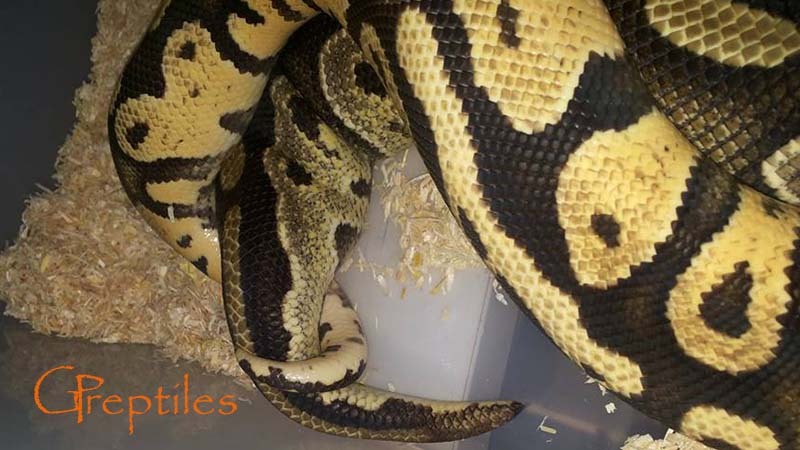 Fourth clutch is out! 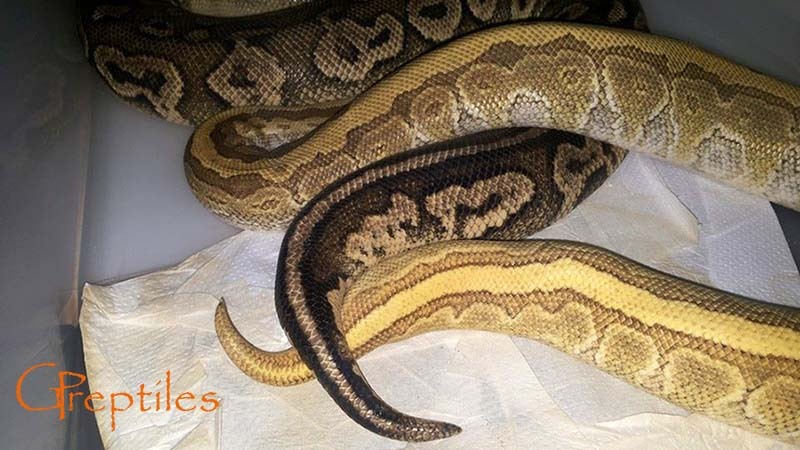 babies after two sires, but no 3 gene snakes unfortunatelly! 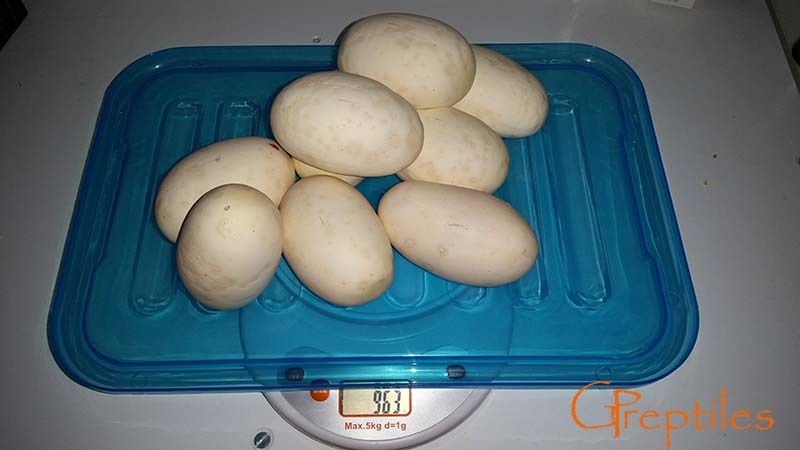 Also the same day we cut our sixth clutch of the season and we got another surprise as we found two heads sticking out of one egg! 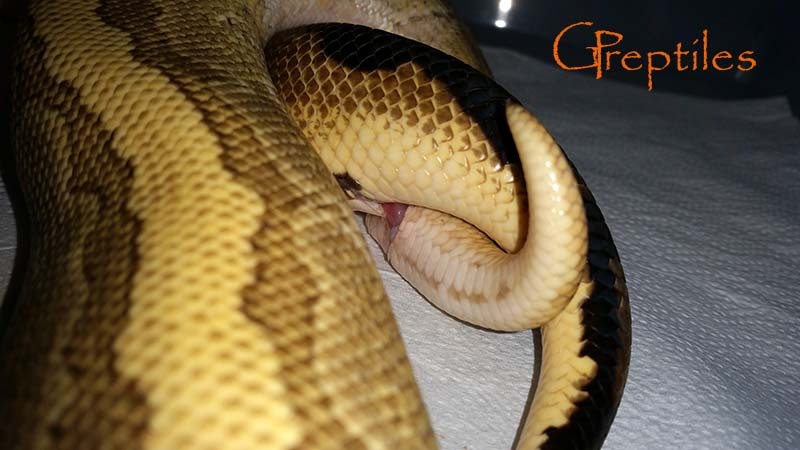 Same thing happened to us last year but with a different pairing ;). 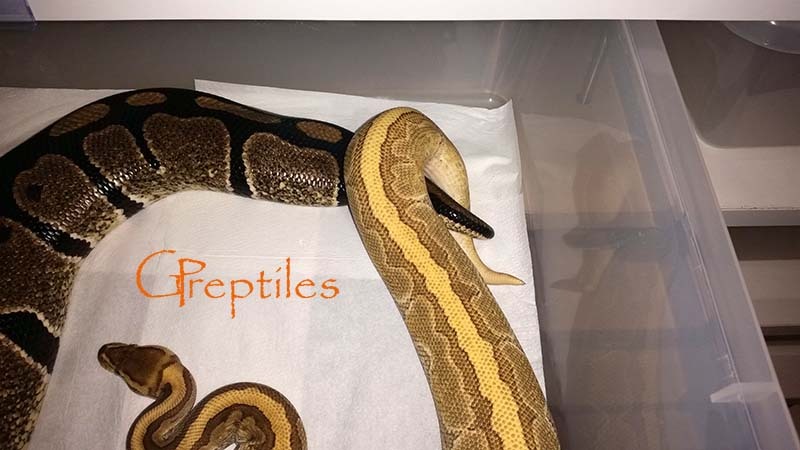 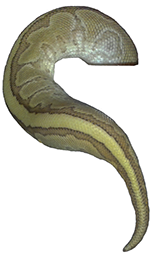 They are Ivory twins, which is by the way the conclusion to our dinker project - it's a yellow belly ;). 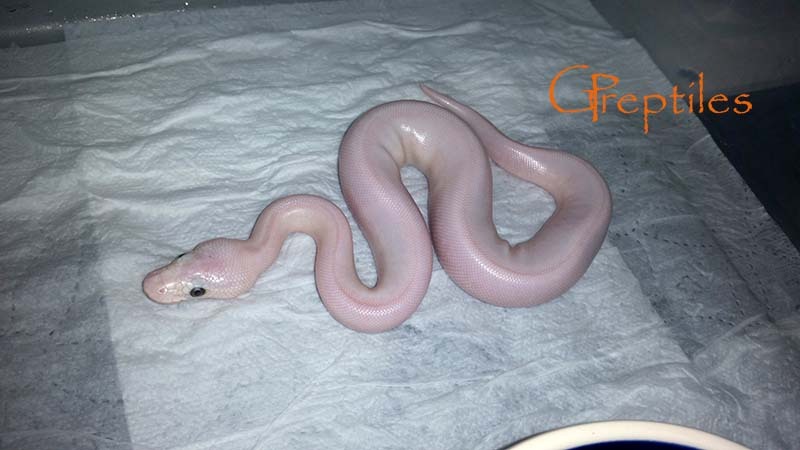 Waiting for this clutch to come out!